The latest version of Skype for iOS brings video chat and video calling to iPhone, iPod touch, and iPad. You can make direct video calls to other iOS clients in addition to Mac OS X and Windows Skype clients. What makes the new version even more exciting is that you can make Skype video calls over 3G in addition to WiFi, making it the first official method of making 3G video calls without jailbreaking an iPhone. 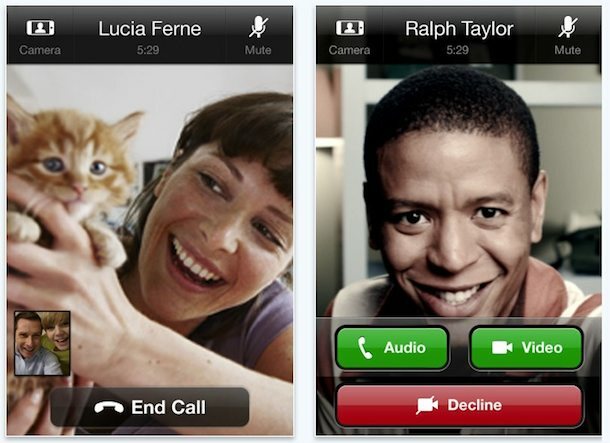 Two-way video calling is supported on the following hardware: iPhone 4, iPhone 3GS, iPod touch 4G. Note that the iPhone 3GS will use the rear camera for video calls. The current iPad and iPod touch 3G can receive video calls, but since they are lacking a camera they can not send video. The new version of Skype 3.0 requires iOS 4.0 or later, and is a free download from iTunes. Er, I’ve had Tango for a while. google works too doesn’t it? Is it possible to make vedio call from skype by my iPhone 3G …… Pls inform the process……..